Placemaking Week 2019: Call for Cities Extended to May 18! Scenes from the lunch truck at Placemaking Week 2017 in Amsterdam. By now you may have heard about PPS’s Call for Cities to host Placemaking Week 2019. We’ve already received interest from cities around the world, and due to numerous requests (and a very busy season here at PPS), the deadline for submitting letters of interest has been extended to May 18th, 2018 at 5pm EST. We hope this will provide your city enough time to compile the information and pull together potential partners in order to submit a quality letter of interest to PPS. Hosting Placemaking Week provides an opportunity not only to highlight your city/region’s approach to public space development, but as a co-host your organization will also help PPS shape the greater placemaking agenda. The event is a multi-day conference about leveraging the convergence of many global issues around public space—from health to sustainability, innovation to equity. Primarily geared at practitioners, activists, and policy makers, Placemaking Week offers a series of topic-specific sessions and workshops highlighting project experiences, best practices, and major thought leadership in the placemaking field. Over the last five years, we have been building a strong network with PPS’s Placemaking Leadership Council (PLC) and a range of regional, self-organized networks around the world. Building on the work of the PLC—a group of over 1800 practitioners, activists, and researchers in the planning, development, and nonprofit sectors—Placemaking Week seeks to develop and share concrete strategies for advancing placemaking globally and locally. Every participant has the opportunity not only to improve their local communities, but also to help persuade governments and industry decision-makers that the success of future communities depends on the quality of the places being created. Placemaking Week 2017 brought together attendees and participants from all over the world, from a range of professions, making it our most global and multi-disciplinary event ever. We are looking to continue this momentum in 2019. Does your city have what it takes to host this event? If so, we hope you will apply! Click here for more details. Did you know that while PPS organizes the only official Placemaking Week, anyone can organize their own Placemaking Week event? It can be big or small, local or continental, formal or informal, serious or celebratory. Organizers from Nairobi to Stockholm have already hosted Placemaking Weeks in their communities, and PPS can provide services and support if you are interested in doing the same. 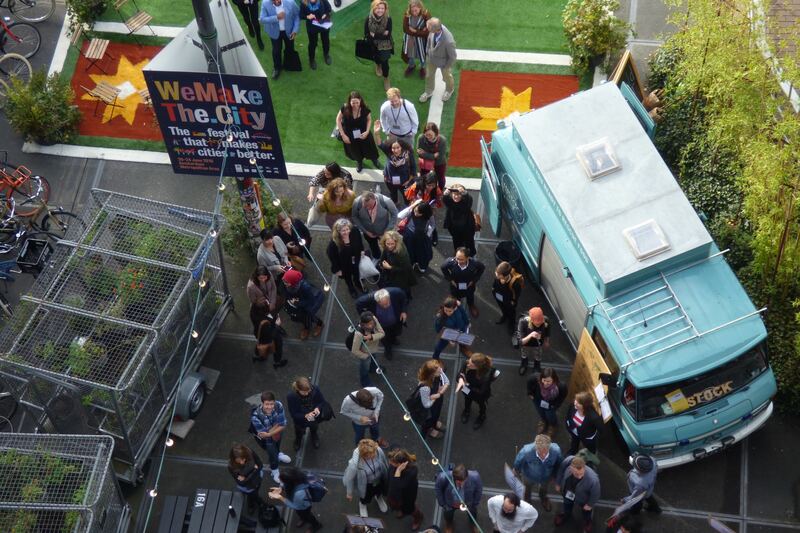 Click here for more information on how to host your own regional placemaking event!